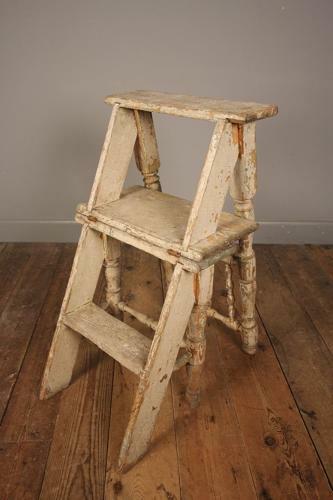 A 19th century metamorphic country chair and steps, full of wonderful character in the original old paint. The chair having a a spindle back with turned front legs and a solid seat. The chair converts simply into a set of steps. Lovely original condition throughout. English, Circa 1870.